Sonoran News emailed a questionnaire to every candidate that had filed nominating papers with Carefree and Cave Creek. We sent out the questionnaires on June 12 and requested a response by June 26, allowing them two weeks to put their answers together. All candidates were given the same questions in both towns and were given a limit to the number of words allotted for each answer. The only editing was to eliminate bullet points etc. to conserve space. B.A. and M.A. from ASU, 6 years experience in Marketing at Procter & Gamble and Pillsbury, 30+ years consulting for over 180 companies in marketing and business planning. President and co-founder of one of the largest Marketing consulting companies in the U.S. President, Boulders Homeowners Association. Appointed to the Carefree P & Z Commission in 2013, elected and became Vice Mayor in 2013, became Mayor in 2015 and was re-elected as Carefree Mayor in 2016. Under my leadership, Carefree has had to face up to the new financial reality of declining sales taxes and decreasing state revenues, combined with increased costs. Following a comprehensive strategic review, we re-focused upon areas which will generate the required revenues without the need for a town specific real estate property tax. During my time in office, I have led a team which has developed a very significant track record of accomplishments, maintained Carefree as a beautiful place to live and increased our financial reserves to record levels. My overriding goal and commitment to Carefree residents is to keep Carefree the beautiful place to live, work and play that we all love. None of us want to change that. But within this commitment are a number of areas that the Town Council needs to continue their focus upon. Reliable water service for all residents is first and foremost on this list. Carefree also needs to revitalize its existing businesses and attract new businesses through economic development. Safe roads throughout our community are also an important priority. QUESTION: What do you see as the primary issues faced by the town, and how do you plan to address these issues? I have a proven record of accomplishments working in concert with the Town Council and Staff in each area of my goals, and, if elected in the next election, will continue leading the working groups to resolve and implement advantageous solutions them. Reliable water service for all Carefree residents is our highest priority. Some residents on the west side of Carefree have questionable water service today and uncertain water service and availability in the future. This is unacceptable. Carefree and the Carefree Water Company have commissioned an extensive engineering review and study of water service to this area, and we are working closely with these engineers to identify how best to provide reliable water service for these residents for the long term, and the financial ramifications. Continued economic revitalization of Carefree is also at the top of my list of priorities. Working with business owners to facilitate this occurring is key to future growth. A number of Carefree’s property owners and businesses have re-invested in themselves, and the results are obvious, with CIVANA, historic Spanish Village and Bashas’ taking the lead. But our revitalization efforts must seek new businesses as well. New businesses help support the existing businesses, and bring new life, new excitement, to Carefree. Increased safety on Carefree’s roadways is also one of our continued areas of focus for next term. Because of its geographic location with the only uninterrupted north-south roads in the East Valley and the only uninterrupted east-west road north of the 101, with these intersecting in Carefree, Carefree has become a crossroads. In addition, many areas of Cave Creek and Scottsdale can only be accessed through Carefree. Carefree must take the necessary steps to protect its residents as they cross or travel upon these increasingly heavily traveled roads. While born in Arizona, I grew up in military bases throughout the world. My father was career U.S. Air Force. I played many sports as a youth, and later with the European Baseball League (EAPB) for the national team of Finland. I earned a degree in Economics from NAU and International MBA’s from Thunderbird School of Global Management, and the Helsinki School of Economics in Finland. I raised my daughter as a single parent. We enjoy a close relationship, and I am completely enamored by my three-year-old granddaughter. I have spent much of my career in the real estate industry, marketing and development. I enjoy time with family, golfing, hiking and charity. I care about Carefree and have voluntarily served seven years as your elected council member. I believe it’s my passion and commitment to Carefree are what makes me stand out, so much so, that I had been asked by Carefree business leaders to run for Mayor of Carefree. I have also receive broad support from former and current community leaders locally and across the Valley: Steve Betts, Former Carefree Economic Development Advisor, State Representatives: Heather Carter & Jay Lawrence, Mayors: Jim Lane, Michael Levault, Jackie Meck, Paul Johnson, & Tom Schoaf, Councilmembers: Gene Orrico, Glenn Miller, Bob Gemmill, Bob Gearhart, David Luna, Jack Sellers, Sal DiCiccio, Jim Waring, Claude Mattox, & Peggy Neeley. Championing and delivering safe, clean and reliable Carefree water service for all Carefree residents, along with unity, prosperity for our small business owners, and accountability and transparency by our town government. I will continue fighting for Carefree voters & businesses and against wasteful spending & threats of a future property tax. TIME FOR RESPECT IN CAREFREE GOVERNMENT: It is time to bring honesty and respect back to Town Hall and honor the wishes of our voters on term limits. That is why other Carefree residents and I are currently working with Senator Karen Fann to introduce state legislation to protect and empower small towns, like Carefree, to be able to enforce voter-mandated referendums. A government only serves to represent and enact the will of its citizens, not the contrary. My integrity is my most important strength and I stand for truth and transparency in government. WATER RESOURCE MANAGEMENT & SERVICES FOR ALL RESIDENTS: It is crucial we ensure we bring ‘ALL’ our residents into Carefree Water service area to provide a reliable and safe water source. Nothing has been done on this critical issue during Les Peterson’s past two terms as mayor until I made it an election issue this year and 526 Carefree households still continue to not receive Carefree Water services. These homeowners are facing rising costs and continued undependable water supply if we do not act more progressively. ADVOCATE FOR SMALL BUSINESS OWNERS: Folks it’s time for a change. My opponent Les Peterson actually threatened to sue 3 of our town’s most respected businesses over a Christmas festival website that the town did not own, and did not need, and then made them sign a gag order so they could not talk about it. Our small businesses are the backbone of our local economy and pay sales tax to support our town services. It’s time to start helping our small business owners and ‘Buy Local.’ Ironically though, my opponent currently utilizes out of town technology services despite there being professional services available in Carefree. More importantly, given an improved economy, our inflated sales tax of 9.3% should be re-evaluated to be more competitive with Phoenix and other surrounding municipalities. FIGHTING AGAINST CAREFREE PROPERTY TAXES: We are a small community that has supported ourselves for years without a local property tax. My concern is that once a local property tax is passed, tax creep will only continue to grow. Stop wasteful spending. My name is Michael J. Krahe. My wife, Valerie, and I have been full-time residents of Carefree since 2009 and part-time for 4 years before that. Our two married children live near Carefree, as well. I am an early-retired insurance executive from one of the top property casualty carriers in the country, located in Pennsylvania. My core competencies are in human resources, corporate strategy and technology. I hold a M.S. in Counseling and a Ph.D. from SUNY Buffalo in Organizational Administration. I currently manage several businesses. Economic Development – Expand our calendar of events to attract visitors to our town center allowing local businesses increased revenue. Continue to mine for businesses who might have an interest in locating to the town core. Partner with local businesses to help strengthen their businesses. Water Issues – Continue our ongoing work to resolve the water issues facing more than 500 Carefree residents. Marketing and Branding Carefree – Continue our work on marketing and branding our town as a destination for visitors to enjoy our gardens, our surrounding Sonoran foothills beauty, and our local businesses and shops. There are several issues we face. One is water quality and reliability for our residents. Nearly a third of our residents are currently serviced by Cave Creek. The infrastructure in that service has significant deficiencies, liabilities, and tentative reliability. We have a responsibility to provide reliable water to all of our town residents. It is imperative that we find a way to provide that reliability and stability to those 500 plus homes. A feasibility study has just begun to determine the cost to do this. Our work must continue. The second revolves around how we continue to leverage marketing and branding to bring visitors and repeat quests to our town. It is evident that our current efforts have shown considerable positive results. We must continue this path. Doing so labels us as a Valley destination, increases traffic to our local businesses, and stimulates other businesses to consider locating to Carefree. I will continue to be a strong voice in our quest in finding solutions to this issue. The third involves the development of the northeast corner of Cave Creek Road and Carefree Highway. Appropriate development of that corner will generate more sales tax for the town and increase visitors to our local area. I will continue to be a strong voice in addressing this issue, as well. These are some of the primary issues that face Carefree, and my plan is to provide my expertise and experience to Town Council as we continue on the path to resolution. Born in Waterbury, CT to Italian immigrants. We moved to Phoenix in 1972 at 7 months old, graduated from Camelback HS, attended SCC/PVCC/ASU/NAU, currently working toward Ed.D at GCU. Spent 20 yrs coaching high school & college football, married for 22 years and have three children: 15 year old boy and 12 year old boy and girl in Cave Creek Schools. Have worked in both the private & public sectors: insurance, the courts, and colleges as a career instructor. I broadcast a local sports radio segment on Saturday mornings, also broadcast & announce college and high school sports. I’m a native Phoenician and have witnessed growth of this valley in all directions. We made the move to Carefree 2 ½ years ago because we fell in love with the Desert Foothills. We dreamt that we would one day retire in Carefree, so we had the opportunity to make the move here a little earlier than planned! I’ve worked as a leader in different capacities and have worked under great leaders that put people first. I’ve been a teacher, student, and respect and value everyone’s opinion, always part of a team. I care about young people & our seniors. Vote on issues that best serve our residents first. Be a team player. Address the water concerns for the 526 residents that have Cave Creek water on the SW side of Black Mountain. We need to be mindful of the preservation of our beautiful desert and limit economic growth. Downtown core needs businesses that will bring patrons, and retain businesses we already have. Sponsor activities to get our seniors out when the weather is cool, and have nearby residents (including school children and families) in to use our amphitheater for different events: concerts, plays, theater: incorporate into Block Party. Without water, we have no town. We need to address our water concerns first, as the current council has begun to do. Can we continue working with Central Arizona Project and avoid tapping into our own water supply beneath our soil? We need to continue spending a little money now or a lot later to ensure adequate water supply for our residents for years to come. I’d rather spend a little now. 29-year Carefree resident. Appointed to the Carefree Town Council in 2012; Elected to Council in 2013 and 2016. Serving as Vice Mayor since 2015. Previously, served as Vice Chairman of the Carefree Planning and Zoning Commission. Serves as president of the Carefree Foothills HOA and as a Desert Foothills Land Trust board member. BS degree in Mathematics, Villanova University; MS degree in Systems Management, University of Southern California. Served 7 years as a nuclear submarine officer. For the past 24 years, as a business owner, served as a sales representative for semiconductor material and equipment suppliers. Proven leadership combined with a logical and thoughtful problem-solving approach. Independent thinker, good listener and dedicated to Carefree. Developed strong working relationships with the Mayor, fellow Council Members, Town staff and citizens. Participated in decision making regarding sewer service and economic development with a focus to increase sales tax revenues while maintaining the character of Carefree, continuing to provide Town services and avoiding the need for a property tax. 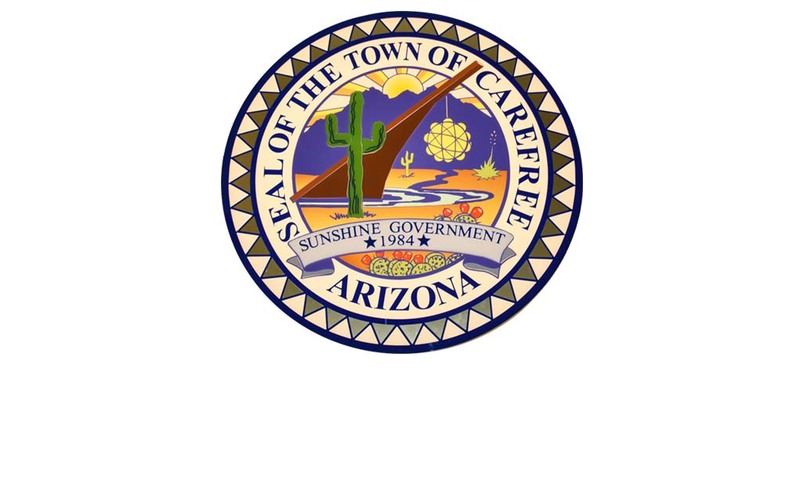 Worked with the Carefree Water Committee to initiate a major engineering study related to water service to Carefree residents and businesses currently served by the Cave Creek Water Company. Ensure a reliable supply of quality water for all Carefree residents and businesses. In support of continued economic development and to strengthen sales tax revenues, seek out and bring to Carefree businesses that support the uniqueness of our community and are willing to work with the Town to help themselves. Fine tune the Town marketing plan to not only bring economic development, but to bring value to our citizens. Listen to and revitalize existing businesses. As traffic continues to increase, focus on and install improvements to address pedestrian and road safety. Water is the lifeblood of the desert. All Carefree residents and businesses must have a reliable supply of quality water. The Town has embarked upon an engineering study to determine how best to guarantee a reliable supply of quality water to all residents and business. The infrastructure is complicated. There may be more than one solution. Associated costs will be significant. I will work with the engineering consultants, listen to the community and find the best solutions. As traffic increases, pedestrian and road safety issues increase. Working with neighboring communities to improve Town border arterial roads such as Carefree Highway is a must. The installation of devices to encourage speed compliance and walkways to allow safe pedestrian crossings are essential to maintaining a pedestrian friendly environment and to encourage nearby residents to enjoy our Town core. We will continue to be sensitive to increased traffic and hazards and implement solutions to protect our pedestrians and drivers. Carefree provides essential services primarily through funding derived through sales tax revenue. We are proud that we run our government without a property tax. Even the smallest of property tax rates grow over time because it is always easier to raise taxes than it is to take difficult decisions. We must strengthen our sales tax revenue stream by encouraging new businesses to set up shop in Carefree and to work with our existing merchants who are willing to help themselves. At the same time, we must be mindful to maintain and enhance the character of our Town. A successful business community not only generates improved tax revenue, it improves the quality of life for our residents. As successful businesses take on self-generated events, the Town burden of event generation is lessened. As I have done with Basha’s and as I have provided assistance to Spanish Village and CIVANA, I will continue to work to bring economic development to Carefree while enhancing the character of our Town. I am currently completing my first term on the Town Council. I fell in love with Carefree in 1988 and have lived here since 1998. Before retiring, I spent 30+ years in advertising. I worked on the introduction of Acura in 1989 and worked on Orville Redenbacher’s Popcorn, Polaroid, Gallo Wines, Porsche Cars and the ‘Got Milk’ campaigns. I have volunteered for local organizations serving on the auxiliary board of Scottsdale Healthcare and the board of The Arizona Institute for Breast Health. I currently volunteer at the Foothills Foodbank every Wednesday. I enjoy golf, yoga, bridge, movies and walking my golden retriever, Riley. I now have almost two years of experience under my belt as a Council Member. I have spent this time understanding the issues facing our Town, learning as much as I can and talking to those on both sides of issues so I can make the most informed and sound decisions. I am awed by the power of seven individuals and take my responsibility very seriously. I am well-versed before I cast my vote on any item brought before Council. I have a strong marketing and communication background that qualifies me to work very closely with the Town’s marketing staff on tourism and economic and business development. I hope to continue the initiatives started this last term. Specifically, keep giving people reasons to visit, support economic revitalization and support our current businesses to help them prosper. I will keep working with the rest of the Council and the Town staff to ensure reliable water service for all of our residents. As time and circumstances change, I remain committed to keeping Carefree the kind of community that drew us all here in the first place. The primary issue the Town currently faces is providing a reliable source of water for all of our residents. There is no easy answer but we are conducting research to find all available options and then will implement the best solution. We need to keep implementing the economic development plan that is gaining momentum and starting to show results. We do not desire a town property tax and with an ever diminishing share of State funds we need to attract businesses to add to our tax base so we can continue to provide town services: fire, police, good roads, etc. From a marketing standpoint, we need to continue cultivating our brand: health and wellness, arts, fine dining and positive visitor experiences. We need to keep building quality events that complement current business, generate free media and bring people to town.